A motorcycle is an important machine to have. In most parts of the world, it is the preferred means of transportation. Most people settle on motorcycles not because they don’t have a car but because they need a faster means of transportation, especially for those living in congested or high-traffic areas. Besides, riding a motorcycle is a fun thing to do. In the UK, people ride motorbikes just to have fun – think of group riding. Motorcycles come in different brands and models so buying one usually require a lot of research, time, and patience, especially if you are a first-time purchaser. Before buying a motorcycle, there are a few things you’d want to make certain of. Nobody wants to invest in a problematic machine anyway. Here are five things you need to check before buying a motorcycle. These are the first things to consider before investing in a motorcycle. Harley Davidson, Suzuki, Honda, Kawasaki, Yamaha Ducati are some motorcycle brand that is commonly used today. They are all popular with each having its pros and cons. But the most important thing remains your budget and preference. Ducati and Harley Davidson are known to retain their value but the cost of acquiring one may not be favorable for most people. How neat is the motorcycle? Are there any damaged parts? Is everything intact? If no, what needs to be replaced? These are some questions you need to ask before buying a motorcycle. You want to be sure the engine, flashlight, brakes, nozzles, and all cables, are in good condition. Having a low budget doesn’t mean you should settle for something unkempt. Make sure the machine is good looking and that there is zero or few fixable damaged parts. You can also check for rusted parts, small holes in bolts, and other minor or major issues thoroughly before making a decision. Mileage simply means the distance measured in miles. The lifespan of a motorcycle is determined by this measurement. When buying a motorcycle, it is important that you check the millage. You don’t have anything to worry about if the motorcycle comes with high mileage; however, it is advisable to ask the seller for proof that the motorcycle has been regularly serviced. While thinking on the status, mileage and other specification of your next motorcycle, make sure you consider where to buy as well. There are lots of motorcycle shops in the UK but we highly recommend that you do business with those that have positive feedbacks and good reputation. Alex Motorcycles have experienced mechanics and customer representatives who take priority in satisfying customer needs. 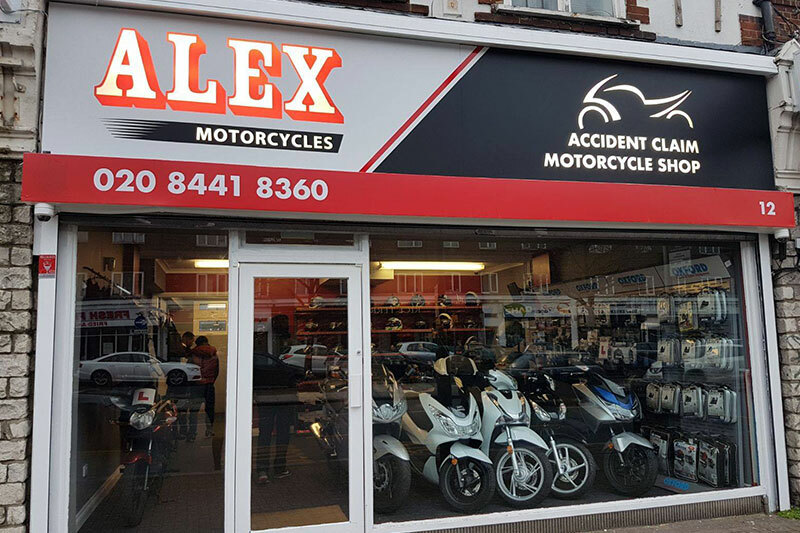 From testing motorcycles, detecting major/minor issues to fixing/replacing damaged motorcycle parts, Alex Motorcycles can guarantee the right choice when buying a motorcycle in the UK. You’ll want to get an authentic proof of ownership for your newly-acquired motorcycle. Make sure the owner has the legit paperwork of what he’s about to sell else it could result in infringements. This is important so you won’t end up purchasing a stolen motorcycle. Now that you know what to check before buying a motorcycle, it is time for you to check out some amazing motorcycle deals at Alex Motorcycles.